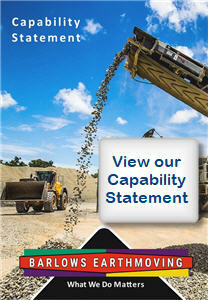 Barlow’s Earthmoving specialises in bulk and detailed earthworks, and civil contracting. We service the Central Queensland area, including Rockhampton and its surrounds, Yeppoon, Emu Park, and as far south as Gladstone. We are proud to be the preferred civil contractor for the Shoal Water Bay Training Area. Our team’s depth of experience spans a wide variety of services, ranging from civil construction, bulk and detailed earthworks, road construction, land clearing and property development, residential sub-divisions, pump stations and rising mains, drainage solutions, and the design and construction of retaining walls. To ensure seamless service delivery and consistently high standards of quality, we also provide equipment and plant hire, crushing and screening services, quarry operations and the supply of quarry products and large mass retaining wall blocks. 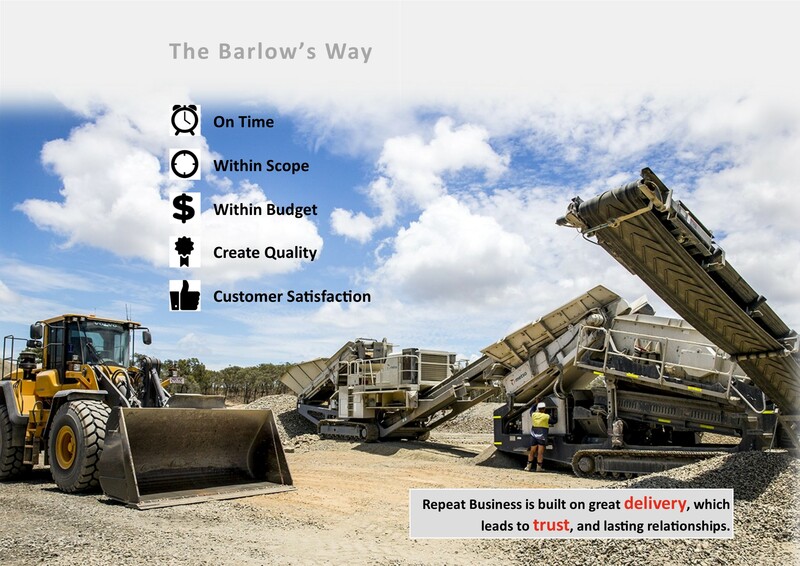 Over the past 50 years, Barlow’s Earthmoving has completed hundreds of major projects for local councils, the defense department, the department of main roads, mining companies and private developers. Barlow’s Earthmoving makes use of experienced management teams and top-calibre operators at all our project sites, to ensure that we deliver exceptional services. We have the proven ability to deliver services in remote, rural areas where logistics and planning are critical. Construction of campdraft arenas – Paradise Lagoon for Acton Land and Cattle Co.
Keppel Shores sub-division for Taranganba Developments Pty. Ltd.